Abdullah Panhwar Sindhi Classical Music Artist. He was most famous Old Sindhi Classical Music, Sindhi Folk Music Singer of Sindh. 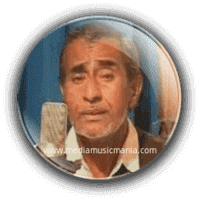 Abdullah Panhwar was great legendary Sindhi Lok Music songs Musician, he sung super hit songs in Sindhi language and his songs was much listening in local areas of Sindh. Sindhi Artist Abdullah Panhwar was created great name in Sindh Music. He had performed great role in popular Sindhi Folk Music, Sindhi Cultural Music all across Sindh and Pakistan. He enriched the world of Classical Music in Sindhi Language and enthralled the audiences with his masterful artistry in his fun of Music. Abdullah Panhwar was "Ustad" of Sindhi Classical Mousiqui. He was called as Master Artist in "Sindhi Folk Mausiqui". His soulful rendition has been bringing solace to many a hearts and his sweet sound was gift of God. I have selected below most popular Classical Music of Abdullah Panhwar. Abdullah Panhwar was one of those rare Classical Musicians who expanded the peripheries history of hit Classical Music. His singing style by taking it to the common masses in Sindhi Music. Peoples like his sweet sound and great storytelling Music. Abdullah Panhwar rendering of "Sindhi Kalaams", "Sindhi Kaafis" Sindhi Sufi Kalams was divine and used to enthrall and transfix listeners, and transport them into a different world. He sung all "Sufi Songs" of great poetry of "Hazrat Shah Abdul Latif Bhitai R.A" and other great Sindhi poets.